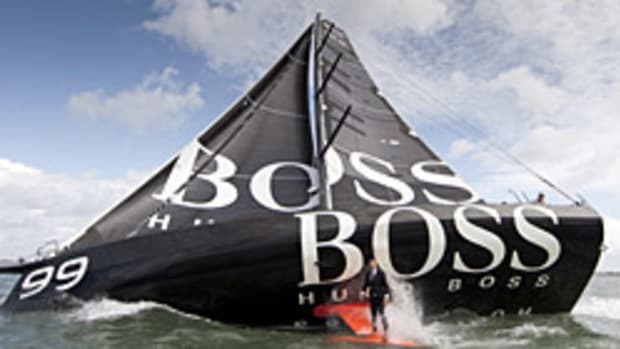 A New Zealand sail-racing trimaran made it safely into Sydney harbor after a harrowing trip across the Tasman Sea that included three days spent in "survival mode" in nearly 20-foot seas. The 60-foot TeamVodafone Sailing trimaran spent 36 hours hove-to with its sails pulled in, riding out 57 mph winds 550 340 miles Sydney. When they got into Sydney on Saturday morning, they found the port had been closed for two days and locals were talking about a 60-year storm. Click here for the full report with photo of the relieved sailors in port.